Soft Flex Wire .019 Dia. 30 Ft. 49 Strand Antique Brass. 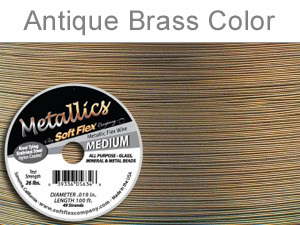 The high quality of 49 strand wire with the addtion of an antique brass finish. Great with Venetian beads.